CHICAGO–Google Inc. has unveiled a new virtual reality (VR) immersive experience based on a novel system that captures and renders high-quality, realistic images from the real world using light fields. 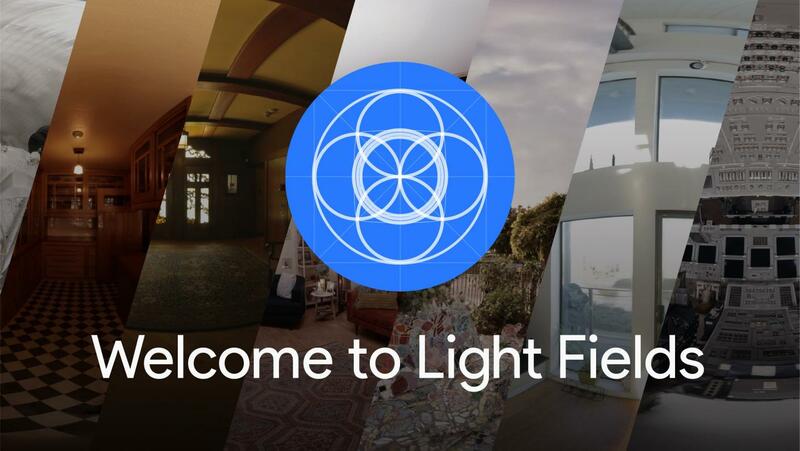 Created by a team of leading researchers at Google, Welcome to Light Fields is the tech giant's splash into the nascent arena of light fields VR experiences, an exciting corner of VR video technology gaining traction for its promise to deliver extremely high-quality imagery and experiences in the virtual world. Google released Welcome to Light Fields earlier this year as a free app on Steam VR for HTC Vive, Oculus Rift, and Windows Mixed Reality headsets. The creators will demonstrate the VR experience at SIGGRAPH 2018, in the Immersive Pavilion, a new space for this year's conference. The Pavilion is devoted exclusively to virtual, augmented, and mixed reality and will contain: the Vrcade, a space for VR, AR, and MR games or experiences; the VR Theater, a storytelling extravaganza that is part of the Computer Animation Festival; and the well-known Village, for showcasing large-scale projects. SIGGRAPH 2018, held 12-16 August in Vancouver, British Columbia, is an annual gathering that showcases the world's leading professionals, academics, and creative minds at the forefront of computer graphics and interactive techniques. Destinations in Welcome to Light Fields include NASA's Space Shuttle Discovery, delivering to viewers an astronaut's view inside the flight deck, which has never been open to the public; the pristine teak and mahogany interiors of the Gamble House, an architectural treasure in Pasadena, CA; and the glorious St. Stephen's Church in Granada Hills, CA, home to a stunning wall of more than 14,000 pieces of glimmering stained glass. "I love that light fields in VR can teleport you to exotic places in the real world, and truly make you believe you are there," says Ryan Overbeck, software engineer at Google who co-led the project. "To me, this is magic." Among other things, explains Overbeck, "The processing pipeline uses computer vision to place the images in 3D and generate depth maps, and we use a modified version of our vp9 video codec to compress the light field data down to a manageable size." To render a light field dataset, he notes, the team used a rendering algorithm that blends between the thousands of light field images in real-time. Indeed, with Welcome to Light Fields, the Google team is demonstrating the potential and promise of light field VR technology, showcasing the technology's ability to provide a truly immersive experience with a level of unmatched realism. Though light fields technology has been researched and explored in computer graphics for more than 30 years, practical systems for actually delivering high-quality light field experiences has not yet been possible. Part of the team's motivation behind creating this VR light field experience is to invigorate the nascent field. "Welcome to Light Fields proves that it is now possible to make a compelling light field VR viewer that runs on consumer-grade hardware, and we hope that this knowledge will encourage others to get involved with building light field technology and media," says Overbeck. "We understand that in order to eventually make compelling consumer products based on light fields, we need a thriving light field ecosystem. We need open light field codecs, we need artists creating beautiful light field imagery, and we need people using VR in order to engage with light fields." ACM, the Association for Computing Machinery, is the world's largest educational and scientific computing society, uniting educators, researchers, and professionals to inspire dialogue, share resources, and address the field's challenges. ACM SIGGRAPH is a special interest group within ACM that serves as an interdisciplinary community for members in research, technology, and applications in computer graphics and interactive techniques. SIGGRAPH is the world's leading annual interdisciplinary educational experience showcasing the latest in computer graphics and interactive techniques. SIGGRAPH 2018, marking the 45th annual conference hosted by ACM SIGGRAPH, will take place from 12-16 August at the Vancouver Convention Centre in Vancouver, B.C. To register for SIGGRAPH 2018 and experience Welcome to Light Fields first hand, visit s2018.siggraph.org/attend/register.